Golf Car Services is a family owned and operated business with a combined experience of 60+ years. 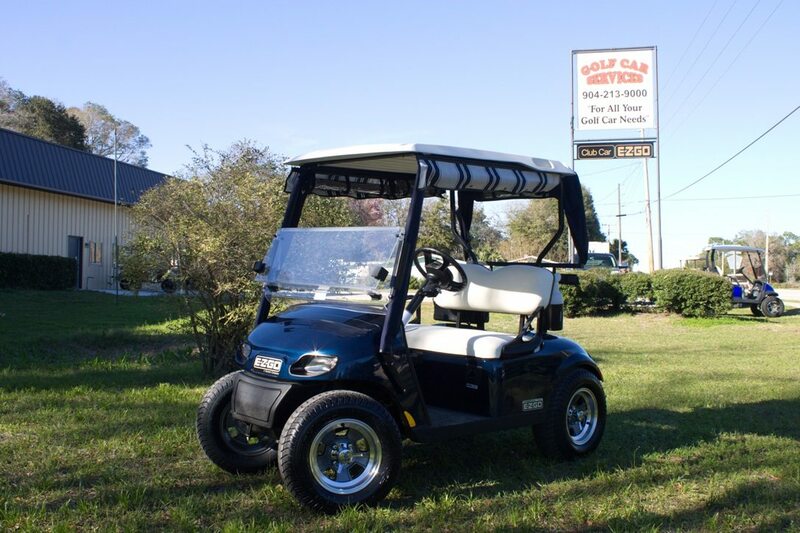 Golf Car Services opened their doors in February of 2007 in Orange Park, a suburb of Jacksonville Florida. 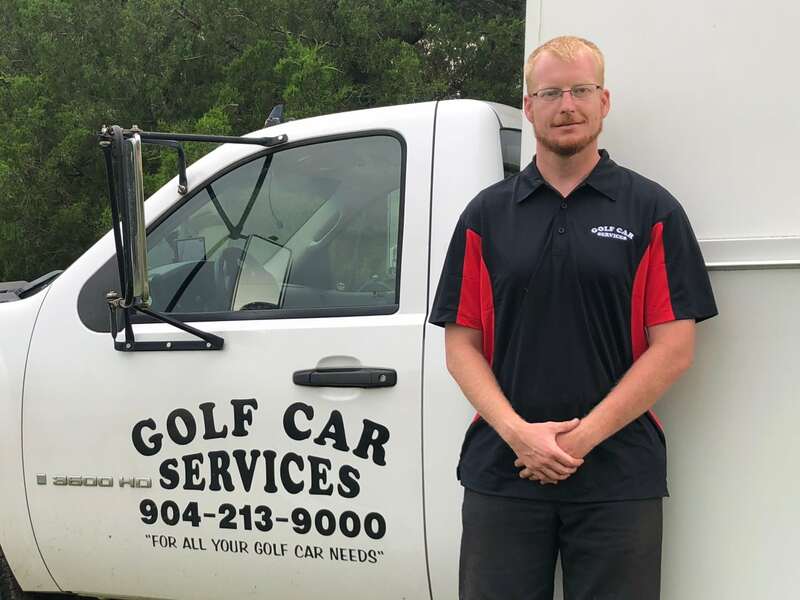 It is run by a team of experts in the field, who have worked all over the country in the golf car business. As the only authorized new Club Car Dealer and service center in Clay County, we offer new or used car sales and onsite or mobile servicing. 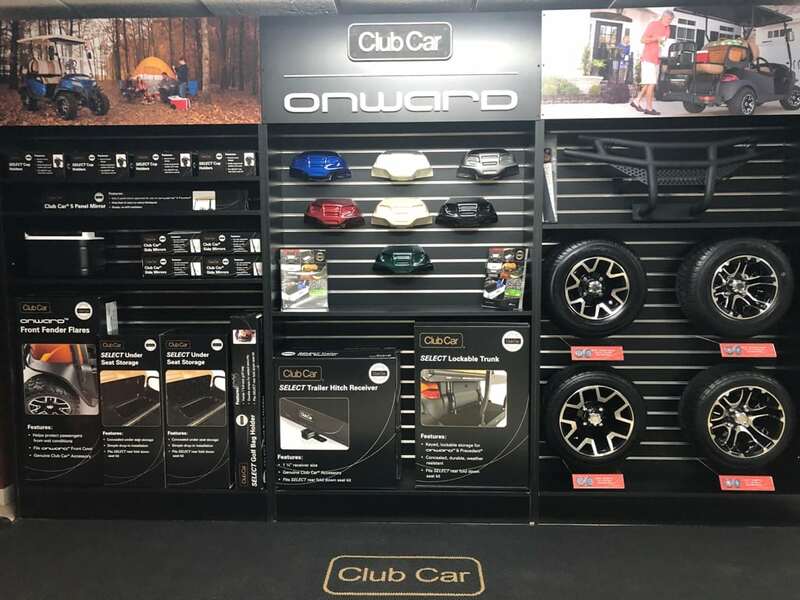 We now offer the newest line of Club Car as we are west Jacksonville's premier Onward dealer. Additionally, we maintain a large, fully stocked parts and accessories room. This allows us to have in stock most parts necessary to update and accessorize your car. If we don't have it on hand, we can order it and have it here usually with a quick two day turn-around. Our team is ready to help you build, customize, or service your car with complete confidence! Come see us at Golf Car Services for all your golf car needs!! We had an amazing experience buying our first Golf Cart here. The staff is down to earth and not pushy at all and very reasonable with their pricing. They took the time to make sure we ordered what WE wanted and kept us updated all through the build process which took no time at all. We felt welcomed from the moment we walked in the door and know we have assistance if we need it. Thank you so much for building us an amazing cart and delivering it to our driveway and explaining every inch of the cart to us, we will surely enjoy it for the years to come. We have used Golf Car Services for years. They always have the parts we need, they are helpful with diagnosis, and perform repairs at very reasonable rates. 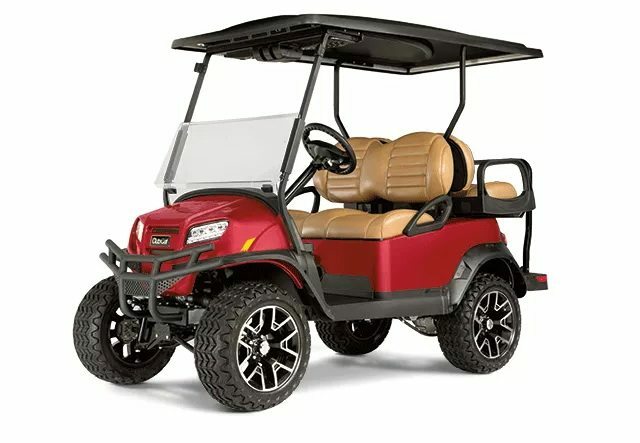 We have purchased several golf carts from them over the years, and every cart has exceeded our expectations for durability. A very professional and trust worthy operation. Both Chris and Rob could not have been more competent and helpful. They identified and fixed my battery issues; plus saved me money compared to two other cart shops in the past year. We needed some repairs done to our golf cart and Rob got it back and running in just a few days! It was a complicated issue and we were impressed with his knowledge and abilities. He was very fair in the cost to do this difficult repair! I can't say enough kind words about Rob and highly recommend taking your Golf car to him if you want a quality job, done in a timely manner, by a really great guy! Thanks again Rob! Always have great service and anything they can do to help u they do. Everyone is important to them. 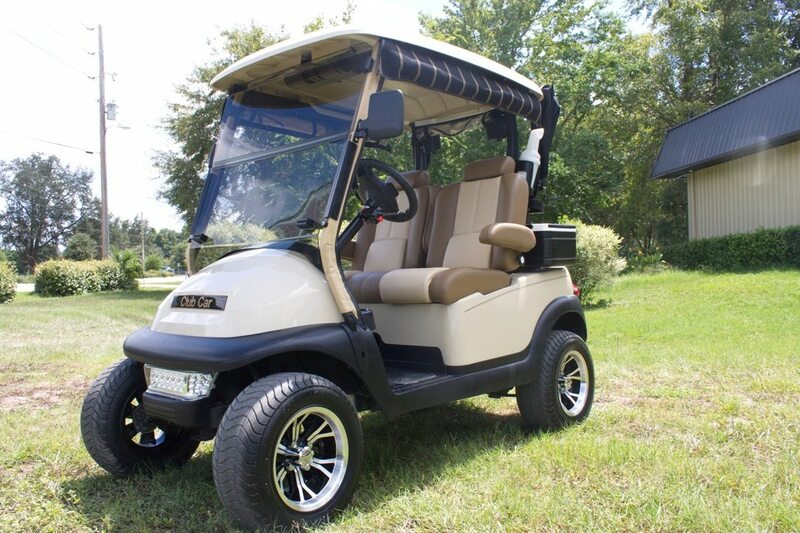 We couldn't have been more pleased while purchasing our golf car from Golf Car Services. They have a great selection and assisted us in choosing just the right options for us. The staff was great. Rob and his wife were great to work with. Very accommodating and professional. We highly recommend that you shop at Golf Car Services. We at Hibernia Baptist Church wanted to thank you for all your service work to our cars, you and your crew take above and beyond care of our needs. A special thanks for you going out of your way to help us find battery hold down parts for our Light Tower. As I sat and pondered life and Concert on the Green on Monday, one of the main things that made the Concert possible was your carts. If we had not had them - it would have been terrible. Many of our Patrons would not have been able to handle the campus walk in the terrible heat. Your generous donation of the carts made the evening tolerable. I cannot thank you enough for your generosity. Quick and professional. Nice shop and has what you want or can get it... Been to other shops and this one is the best operation around greater Jacksonville. Have not purchased one yet, but have met with and built a cart on paper. Great prices and not pushy. Can't wait to order my cart in the near future!! Golf Car Services. You are the BEST! 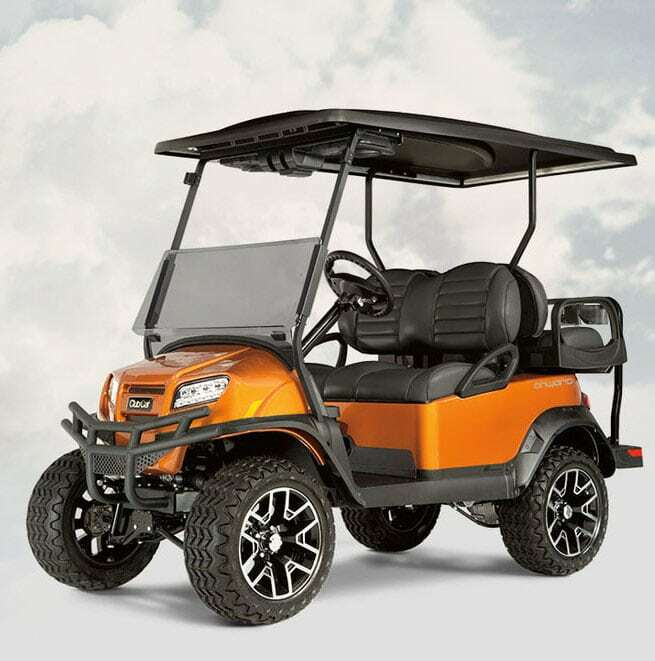 Rob was very knowledgeable in explaining the advantages of the electric versus gas golf carts, performance options, and accessories. He was even willing to exchange the tires and wheels to make us happy. After a test drive, we made our decision to trade and purchase. Thanks Rob! Too bad there are not 10 stars. Rob was spectacular. Gave us personal service and a great deal on a golf cart for a friend. Went out of his way to make this purchase a memorable one. I love my golf cart! What a great experience buying my first cart. They customized it just the way I wanted. I get compliments on how cool it is. They have a large selection and treat you like a customer should be treated! The owner delivered it himself... impressive! I would never go anywhere else. Great people at Golf Car Services with a great selection of golf carts. Very friendly staff and a great selection of accessories. If you’re looking to buy a new or used golf cart, or maybe just upgraded your old one... this is the place.